HOLIDAY, Fla. -- The Pasco County Sheriff's Office arrested Cody Blake Hession for auto theft after he reportedly drove a stolen vehicle into a ditch in Holiday. 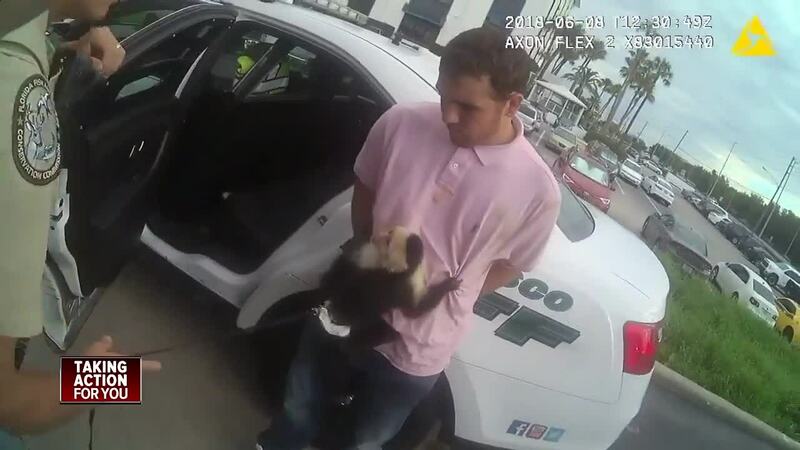 When deputies took him into custody, they were surprised to find a Capuchin monkey, named "Monk," hanging onto his shirt, wearing a diaper. Pasco County deputy Zachary Dendler arrived at the scene. He said he had several reactions. “First thing is how is this monkey going to react to me? The other one was I kind of want to pet the monkey and also I really hope it doesn’t bite me,” said Dendler. Deputies said Hession stole a car in St. Petersburg from someone he knew. He crashed the car about 30 minutes away at a gas station in Holiday. 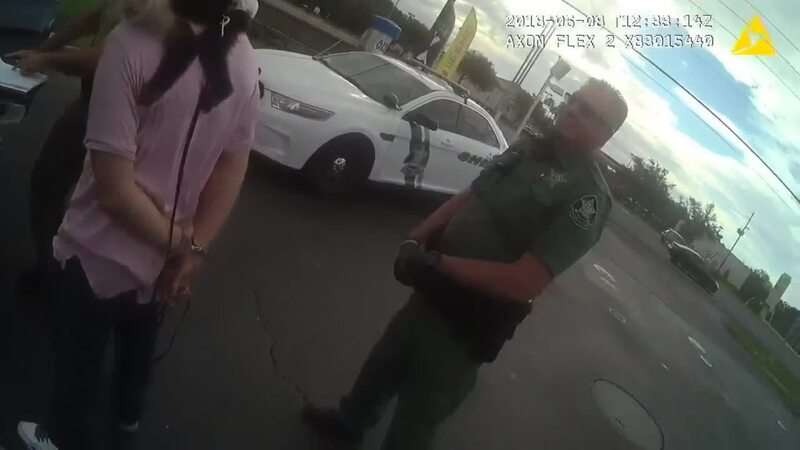 “From what the video surveillance showed us, he turned looks like to leave, but went straight into the ditch over the curb,” said Deputy Dendler. State wildlife officials arrived on scene and took possession of the monkey. They transported it to the Suncoast Primate Sanctuary. Hession told deputies he got the monkey in South Carolina. The monkey is 4 years old. Hession did not have a permit for the animal. FWC issued Hession a citation for violating Florida administrative codes pertaining to wildlife and possessing wildlife as a pet without a permit. FWC officials said he was denied a permit in January 2018. They said he lied on an application about his hours of experience needed to obtain a permit. The park manager at Suncoast Primate Sanctuary said Capuchin monkeys can live to be nearly 50 years old. Monk appeared to be healthy. “We’re going to put him in quarantine making sure he’s adjusting well. We’re going to make sure he’s eating well,” said Debbie Cobb, Park Manager at Suncoast Primate Sanctuary. FWC officials have not said if Hession will be able to get the monkey back.